What injury information can we help you find? Episode 168: How can physical fitness affect aging? Dr. David Geier is an orthopedic surgeon and sports medicine specialist in Charleston, South Carolina. He loves discussing and writing about sports & exercise injuries, and has been featured in major media publications over 1,200 times throughout his career. Learn more about his background, media appearances, and practice. This is a quick reference list for the locations of show topics in Episode 168 of The Dr. David Geier Show. I produce a new episode of this podcast that posts every Monday. If you want them delivered to you automatically, please subscribe on iTunes. Also, if you enjoyed the show, please rate it on iTunes and write a brief review. That would help tremendously in getting the word out! I would be extremely grateful! Thanks! How can physical fitness affect aging? How does the location of the meniscus tear affect whether it can be repaired? Does a tear of the rectus femoris at the hip need to be repaired surgically? How can a high school soccer player overcome fear of rein jury after ACL surgery? Should a person with olecranon bursitis of the elbow worry if the fluid suddenly dissipates after direct contact? What is the best college path for a student athletic trainer to take to apply to medical school? I would love for people here in Charleston, across the United States, and all over the world to participate, so get your questions and comments to me. Go to my Contact page and send your questions or comments. Follow me on Twitter and join the discussion. Leave a comment on my Facebook page. Or share your comments below! Let me know what you think on these or any other sports medicine topics! Episode 151: Can physical fitness improve your children’s academic performance? 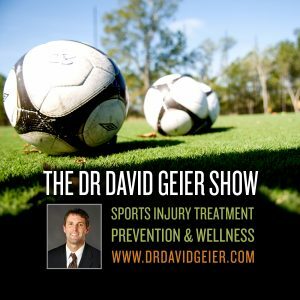 Episode 65: Is return to sports after ACL surgery likely? Episode 69: Should you exercise when you are sick? 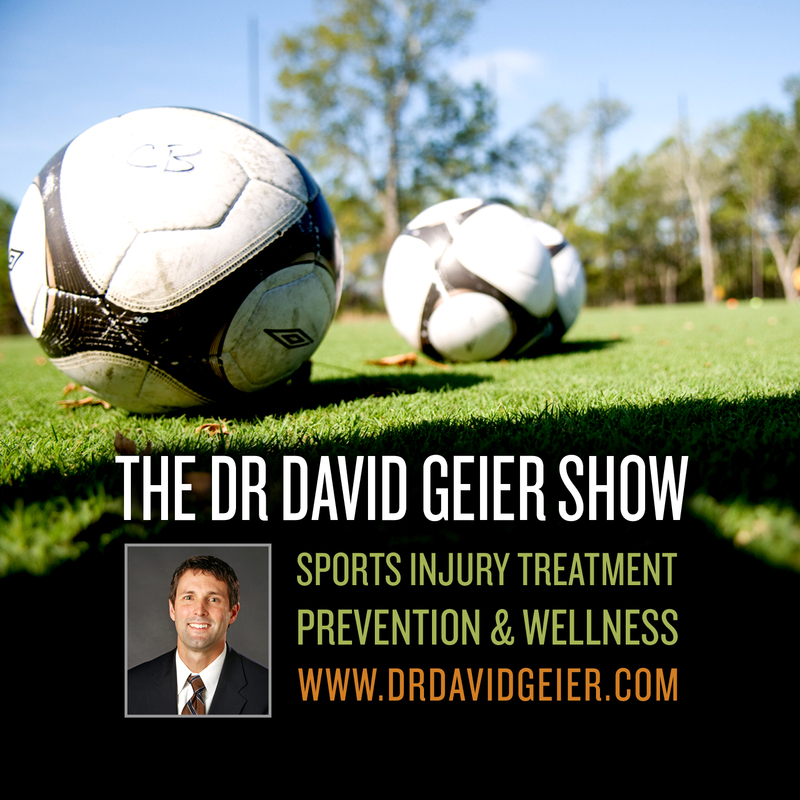 Through the stories of a dozen athletes whose injuries and recovery advanced the field (including Joan Benoit, Michael Jordan, Brandi Chastain, and Tommy John), Dr. Geier explains how sports medicine makes sports safer for the pros, amateurs, student-athletes, and weekend warriors alike. Want more information on this injury? Get more like this delivered to your inbox! Sign up now! Sever’s disease: What is this foot injury, and how can you get better? Episode 399: Can standing throughout the day help you lose weight?